Islamabad United is the one out of five founding member in Pakistan Super League and also the winner of inaugural title of PSL. They are in great form in recent time in the 3rd episode. Besides, in the 2nd season, they fought well but unfortunately ruled out from the competition. But in the ongoing season, Islamabad United secured their place in playoff already. They won several matches in group stage and as one of the four team, they have jumped to the playoff round so far. Including their last match against Quetta Gladiators, Islamabad United played total nine matches in the season and managed seven victories highest. That makes them on the top position on the PSL point table. Now, they are moving towards their second PSL title. On the other hand, Quetta Gladiators is also moving towards the playoff round though they yet to confirm their ticket in the next level but they have still hope. In the ongoing season of Pakistan Super League, Quetta Gladiators have finished their group stage matches where they played all ten matches here. AMong them they won five times so far and lost rest five matches. So, they are in 4th position on the point table till now. It would be very much possible that team Quetta Gladiators will get qualify for the next round along with Islamabad United and two more teams. 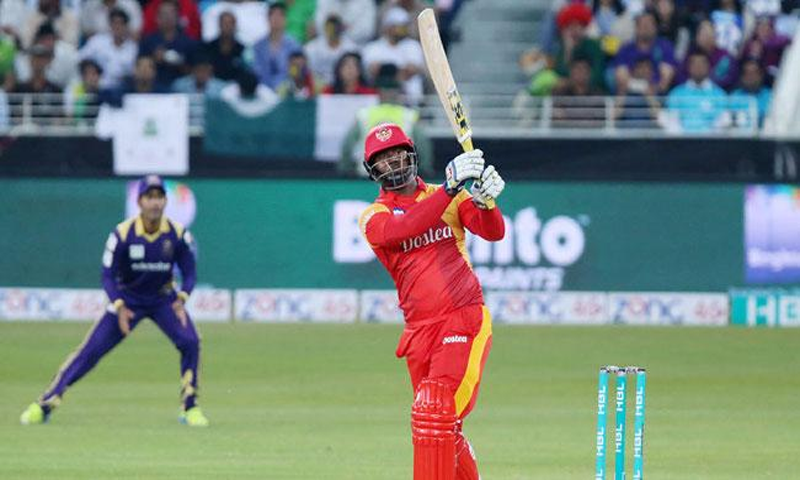 The match which was the between Islamabad United and Quetta Gladiators executed in 15th March, 2018 at Sharjah Cricket Stadium, Sharjah. It was the 28th match of the tournament. In the match, Quetta Gladiators won the toss and decided to bat first. From the previous few matches, they observed that first batting team has the maximum chance to win the match and chasing seems tough at the ground Sharjah. So, their decision was almost right. But Islamabad United did their job at the opposite way. They chased the score successfully. Quetta Gladiators came to bat for the first time by winning the toss. They played full 20 overs but failed to make high score there. To present a big score was an easy option for Gladiators to win the match but they failed. They just scored 147 runs in exchange for seven wickets. Sarfraz Ahmed scored 43 runs highest for the team where Faheem Ashraf took three wickets for United in the match. Later, Islamabad United did successfully chase the score. They had to play 18.2 overs to make the chase successful. They lost four wickets where JP Duminy scored highest 54 runs so far.